When it comes to Instagram, hashtags can have a major impact on the effectiveness of Instagram content. This finding was revealed in a recent TrackMaven report that analyzed the Instagram practices and preferences of Fortune 500 companies. By reviewing the hashtag habits of these companies in their 123 active Instagram accounts, TrackMaven discovered that the number of hashtags affected the number of interactions, which determined their total effectiveness. 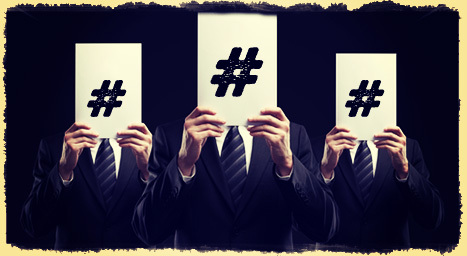 To help other brands learn from this hashtag hindsight, MarketingProfs.com posted the following findings. According to the report, there was a very strong correlation between the number of hashtags used by Fortune 500 companies and the overall effectiveness of the Instagram post. There was a steady increase in interaction when posts had up to five hashtags. When the number of hashtags exceeded five, interaction began to decline, which signaled a decrease in effectiveness. As a result, Instagram posts with five hashtags were deemed most effective. For a complete picture, the impact of hashtag amounts was measured for both larger accounts with more than 1,000 followers and smaller accounts with fewer than 1,000. Remarkably, five remained the optimal number of hashtags for all sizes of Fortune 500 Instagram accounts. While the power of five hashtags was seen in both large and small Instagram accounts, the smaller accounts saw a small rise in interactions when the number of hashtags reached nine, as well as a huge leap when they exceeded eleven. This indicates that companies with few followers may benefit from using hashtags very frequently because it encourages communication and exposure to their content. Hopefully, these findings will help other companies realize how hashtags can make a major difference in the effectiveness of their Instagram posts. Still, companies should remember that Instagram is designed as a source for social media discovery and not simply another broadcast medium. It’s a place where people can engage with content and connect with its creators in a meaningful and memorable way. And with Instagram, brands can bridge the gap between a professional company and personal connection. See how social media marketing is changing the face of advertising. Contact MDG Advertising.